Yes, support for Mac® OS X 10.12 is now available for the DPMConnect application. Please note that v1.5.01 is the only version of this software that currently supports Sierra. You now have the ability to download dictations in two additional formats: MP3 and WAV. You still cannot play these files in SpeechExec for Mac v1.3.07, but these formats will come in handy when using Dragon speech recognition on your Mac. 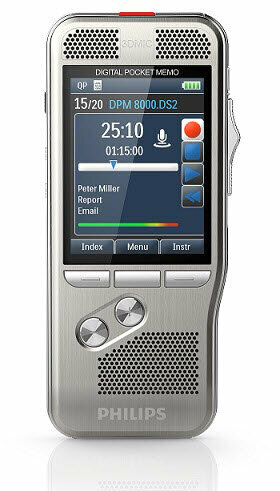 As of DPMConnect v1.4, Philips made some changes to the application’s supported recorders. Where Do I Download the Update? Click the button below and find the software under the “Software and drivers” heading. Please note that this is not a licensed product, so you should be able to install it whether you are a SpeechExec for Mac user or not. Click the folder icon with the green arrow. You can find it on the menu bar in the upper-right area of your screen. This screen will confirm the version of DPMConnect for Mac that you have installed. Do You Need Help With DPMConnect for Mac? 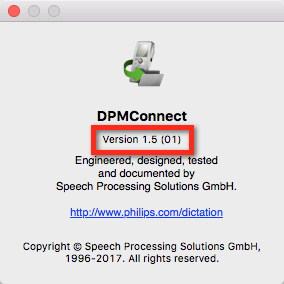 If you’d like to have one of our Philips experts install DPMConnect for Mac v1.5.01 for you, or provide training on how to use Philips software and hardware on your Mac, click the button below.